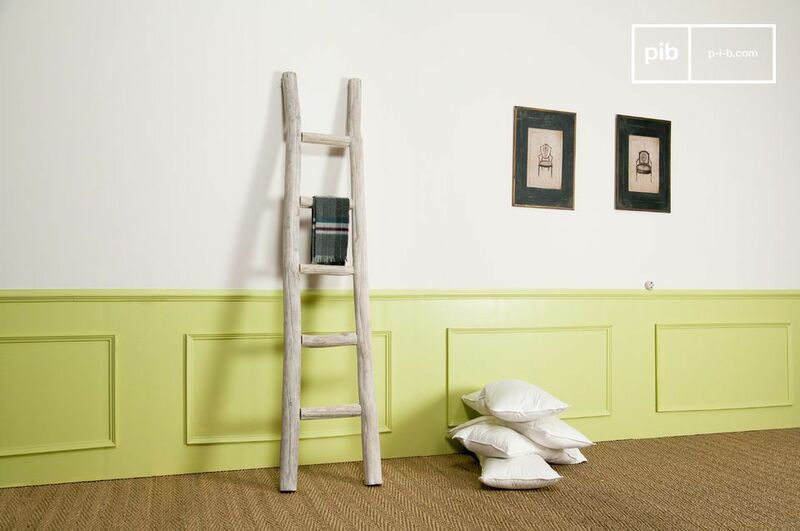 The Towel Holder ladder is a superb piece of furniture out of the ordinary, which is able to bring a touch of romantic decoration, will be quite perfect. 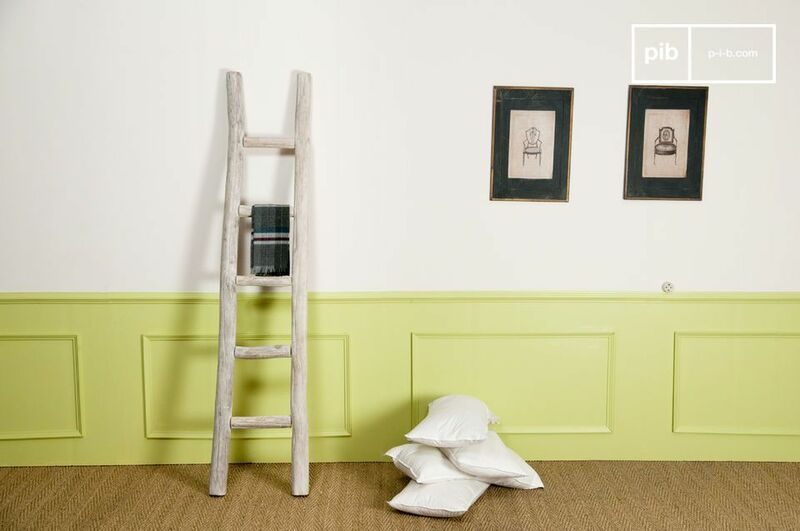 The use of a raw wood just lacquered white gives a natural, aesthetic and pleasant impression to this very special element. A natural touch to hang your household linen in a bathroom or bedroom. 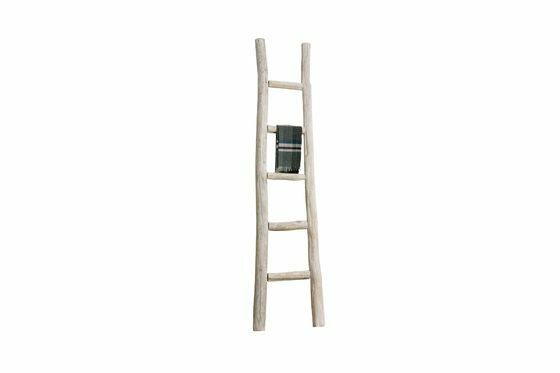 This storage ladder can also be used in your living room to highlight the beautiful exotic fabrics you brought back from your last trip. 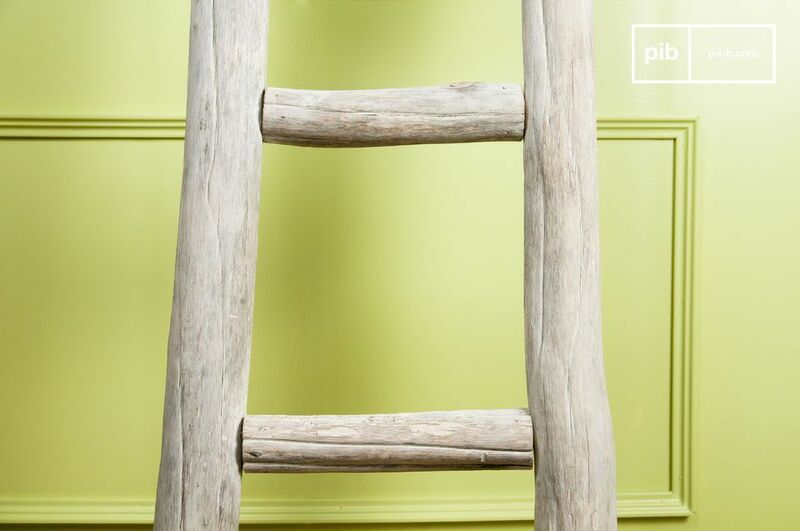 Although robust, it is not recommended to use this product as a ladder, but rather as a decoration.Depending on the arrivals, white glaze may cover a little less the natural colour of the wood than on the visuals.